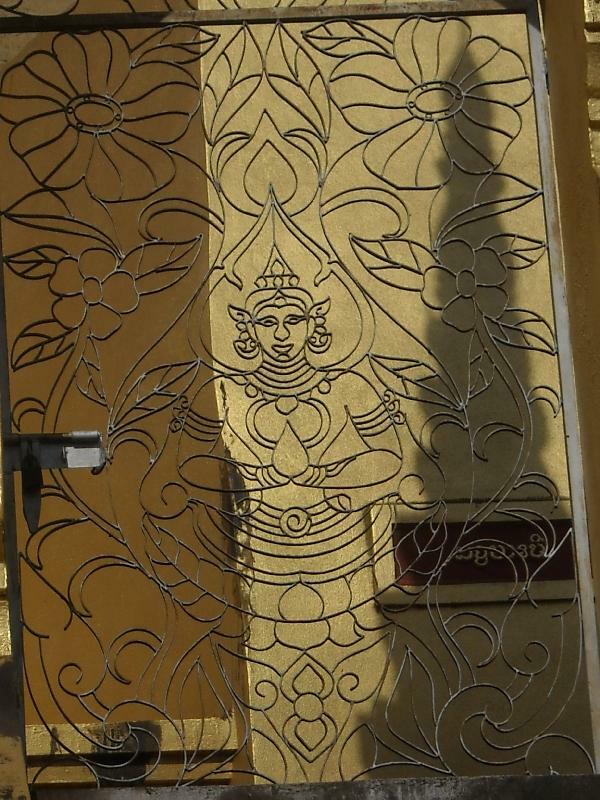 Located on the corner of Lane Xang Road and Setthathirat Road Wat Si Saket is known as the oldest temple of Vientiane. 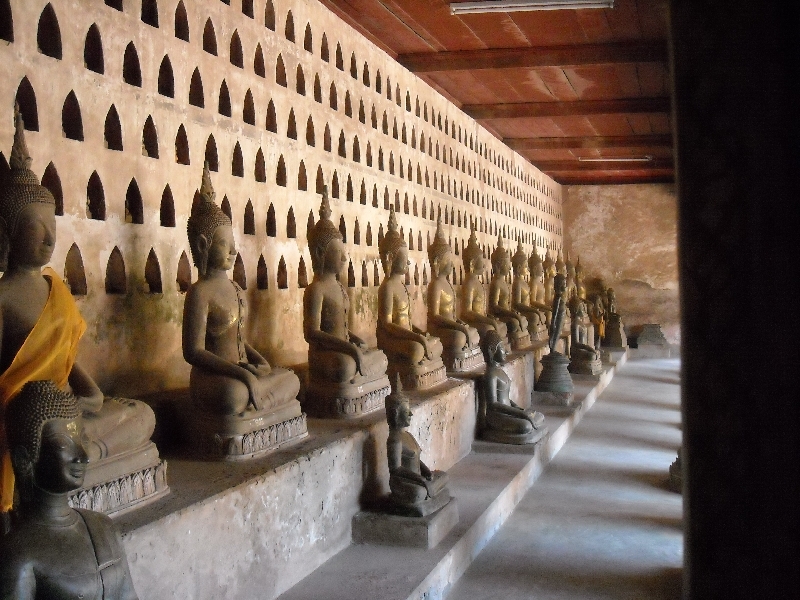 Tourists are attracted by the many Buddhist statues which count up to at least 2000 ceramic and silver Buddha figures. 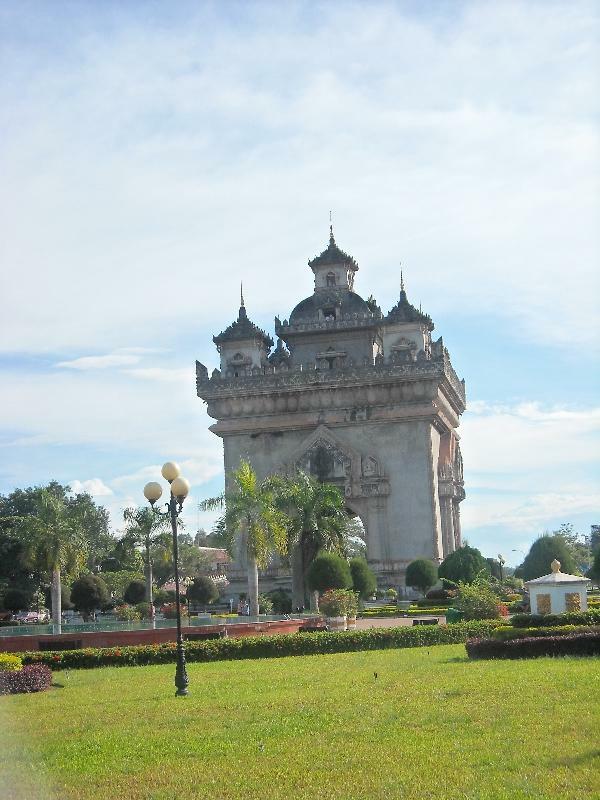 The Pha That Luang is considered the most important temple in Laos and also referred to as The Golden Temple of Vientiane. This Buddhist stupa is not only a major touristic attraction but also a national symbol for the Lao people. The Pha That Luang is placed in a beautifully constructed garden about 4 kms out of town and surrounded by a gate to seperate the temple from the street traffic. The best way to get to the Luang Stupa is by tuk tuk or rental car but seen the frentic traffic jams I would definitely suggest the first one.